Did you know that consuming a 3-4 cups of coffee daily could boost your life expectancy? Well, it does. Many studies have backed this fact. Espresso is one of the most popular orders at a cafe. Some of you might just be dipping your toes in the coffee waters and all you know about ordering coffee might come from one of your favorite movies. 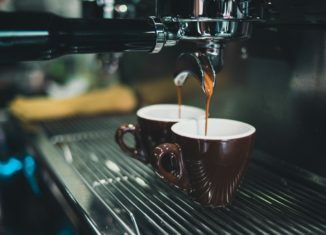 So, we’ll go through 5 Espresso based drinks that are often known as the variety of Espresso coffee or types of Espresso coffee. While others might be coffee connoisseurs who just want to judge our knowledge about these Espresso based drinks. None of that matters, you are here and you’ll be with us till the end of this post. Before with begin with any of the recipes. Let’s see how to make an Espresso shot as it is an essential ingredient of each of these recipes. Step 1: Add finely grounded coffee beans to a portafilter. Step 2: Then compress these grounded coffee beans into a puck by using a tamper. Step 3: Now, you have to attach the puck to the Espresso machine. After which the machine needs to force a small amount of boiling hot water through this puck. Step 4: Don’t forget to place a coffee cup underneath the coffee tap. That’s how you make an Espresso shot. As you can see in the picture, hot water and Espresso are the main components of this particular Espresso based drink. We are diluting Espresso by adding water to it. Here’s how you can make a cup of Americano. You’ll need an Espresso machine. Without the machine, the Espresso quality suffers and so does the quality of Americano. Step 1: Be aware of the amount of hot water and Espresso you are adding to the cup. Both of them need to be equal. If you prefer to drink a stronger Americano then you add more Espresso than the suggested amount. Step 2: You need to heat water before you do anything else. Filtered water is recommended. Step 3: Now, add 3 oz of Espresso to the coffee cup or mug that you have prepared for your Americano. Step 4: Next, add 3 oz of Hot water to the cup. That’s all it takes to prepare a single cup of Americano. Milk, steaming wand and an espresso shot are the primary requirements for making cappuccino. Did we forget a metal steaming pitcher? You are going to need that as well for creating milk foam. But if you have an espresso with built-in steaming wand, even better. Step 1: You need cold milk. Pour it into the pitcher. Prepare the steaming wand by releasing steam for a few seconds. Step 2: Now, you need to dip the steaming wand in the center of the milk and then start the jet. 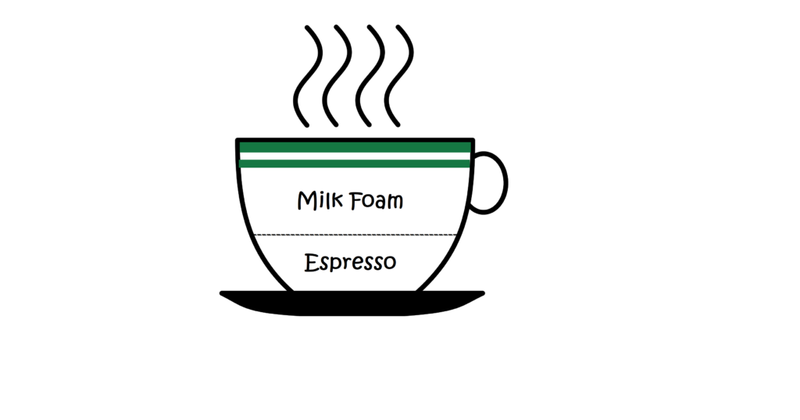 As seconds pass foam will rise which will raise the level of foam and decrease the level of liquid milk. So, you’ll have to dip the wand lower. Don’t stop until the milk reaches 65° C.
Step 3: To ensure that foam doesn’t overflow the pitcher tap it on the counter a few times. It will lower the foam inside the pitcher. Step 4: Pour an espresso shot in a coffee mug. Next, pour the foam in the coffee mug, starting at the center and then rotating the pitcher outwards to the rim. That’s how you make a Cappuccino. As you can see Latte needs the same ingredients as a Cappuccino. 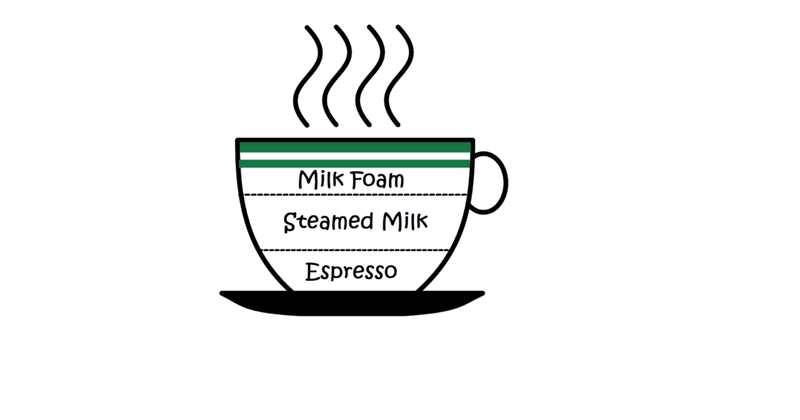 Step 1: Turn the Cold milk into foam with a steaming wand and a metal steaming pitcher. Step 2: Compared to Cappuccino a Latte has a more Steamed milk. So, you should stop using the steaming wand a little earlier, let’s say when the milk reaches 45° C.
Step 3: Pour a shot of espresso in a coffee mug and then pour the milk in it. Start at the center then moving outwards to the rim in a circular motion. Your Latte is ready to be served. We’ll need 15 g of unsweetened Cocoa powder, 15 g of sugar and a pinch of salt. And let’s not forget the hot water and milk. Take 30 g of hot water and a half cup of milk. Step 1: Heat the water. Step 2: Pour the hot water into a coffee mug then add cocoa powder, salt, and sugar to the mug. This will create the chocolate syrup for you Mocha. Step 3: Prepare a half cup of espresso. Next, steam the milk with the steaming wand. Steaming will take just a few seconds, 15 seconds tops. Step 4: Take a coffee mug and pour the prepared espresso in it. Then pour chocolate syrup on top of it. Now, it’s time to add the steamed milk to the cup. While you are pouring the milk use a big spoon to hold back the foam. Step 5: After you are done pouring the milk add the spooned foam on top of it. Your Mocha is ready to be tasted. The extra ingredients you’ll require to prepare this drinks are a cup of cold milk, 5 ice cubes, and honey for taste. Step 1: Make an espresso shot. Step 2: Add the ice cubes to the blender, also pour the milk and the honey in it. Now, add the espresso to it. Step 3: Set the blender to the ice crush settings and blend the mixture for a minute. Stop only when there are no ice chunks left. Step 4: Serve the Macchiato in a glass cup. Obviously, you will feel much better drinking the Macchiato from a glass cup. You now have the guide or the recipe for the 5 most popular espresso coffee varieties. There are times when cafes seem a little too far for our comfort and we need instant cafe. At times like that, you can try either of these recipes at home, provided that you have an espresso machine.